When Nadya prays to the gods, they listen, and magic flows through her veins. For nearly a century the Kalyazi have been locked in a deadly holy war with Tranavian heretics, and her power is the only thing that is a match for the enemy's blood magic. But when the Travanian High Prince, and his army invade the monastery she is hiding in, instead of saving her people, Nadya is forced to flee the only home she's ever known, leaving it in flames behind her, and vengeance in her heart. But when they discover a nefarious conspiracy that goes beyond their two countries, everything Nadya believes is thrown into question, including her budding feelings for her new partner. Someone has been harvesting blood mages for a dark purpose, experimenting with combining Tranavian blood magic with the Kalyazi's divine one. In order to save her people, Nadya must now decide whether to trust the High Prince - her country's enemy - or the beautiful boy with powers that may ignite something far worse than the war they're trying to end. BOOKRIOT, "20 YA Dark Fantasy Books For Your Winter TBR"
GOODREADS, "32 Big Books that YA Fans Can't Wait for in 2019"
CULTRESS, "19 books we can't wait to get our hands on in 2019"
THE NERD DAILY, "2019 Book Releases"
"If you love dark fantasy this book promises to be a brutal, enchanting gem, full of terrifying blood-magic." 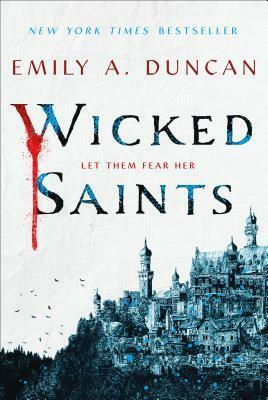 - BOOKRIOT, "20 Dark Fantasy Books For Your Winter TBR"